An Accident Almost Took My Brother’s Life Away. Help Me Save Him Now.. 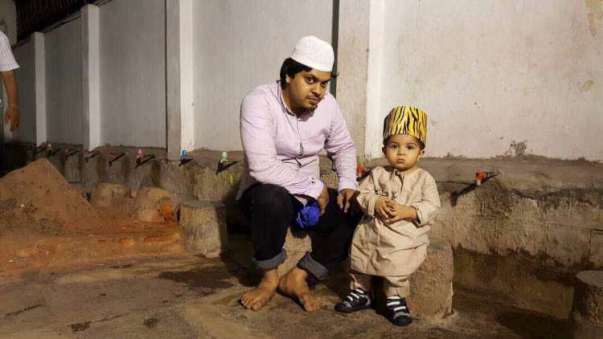 If you knew Akbar Ali, you would agree that he is a kind, friendly and decent boy, who lives up to his name (Akbar means ‘great’). And that he loves animals, especially cats. But what you would find striking about him would be his commitment to his family. He is a responsible son and a very loving brother. 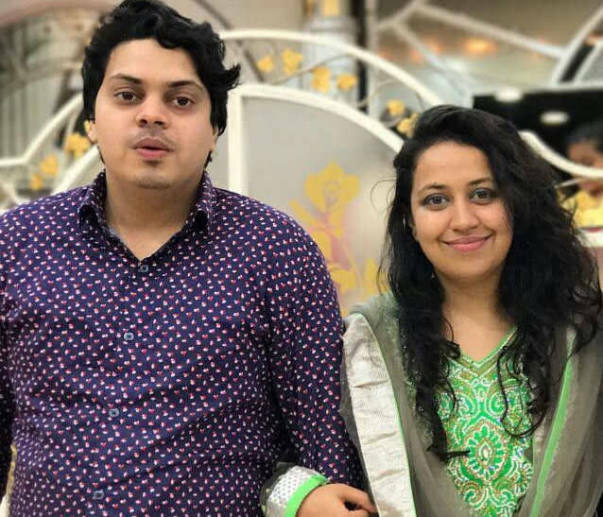 My name is Arjuman, and as his sister, I can see the affection in his eyes even now – when he is battling for his life in the ICU and cannot speak a word. I remember the night very clearly. 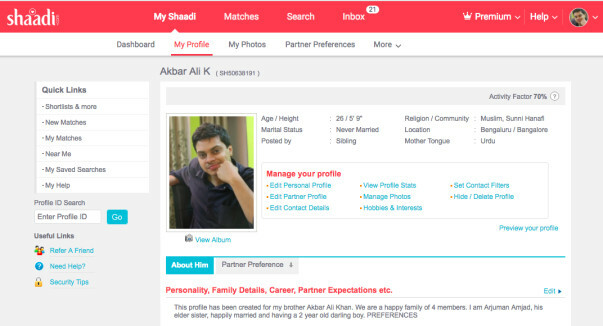 I had just uploaded his profile on Shaadi.com to look for potential matches. Akbar Ali was very happy. Mamma, Pappa, I - we were all very happy. Right after dinner, Akbar Ali said he had to go out to get his bike checked. We thought nothing of it – he would always return home early, no matter what. But only that day he didn’t. Minutes later, we got a phone call informing us that he had been in an accident and that things looked bad. 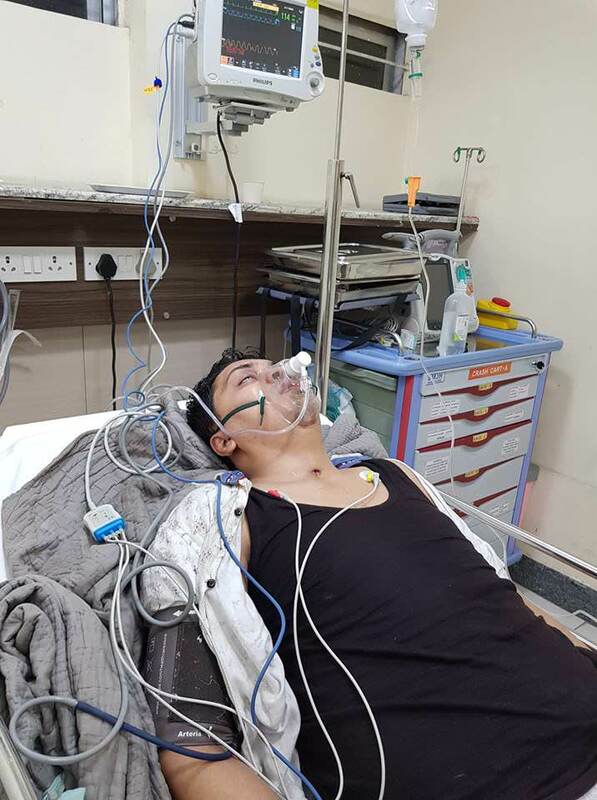 His bike had crashed on the metal barricades and he had gone sliding across the footpath, grievously injuring himself. I remember a mixed feeling of chaos and grief taking over me when I learnt what happened to him. Mamma and Pappa were too shocked to say anything. But it was just the beginning. When we saw him, he was bleeding from everywhere. At that point, we were not sure if he would survive. We took him from hospital to hospital, trying to get him admitted. We were refused admission in many hospitals because they thought it was too serious a case for them to take up. 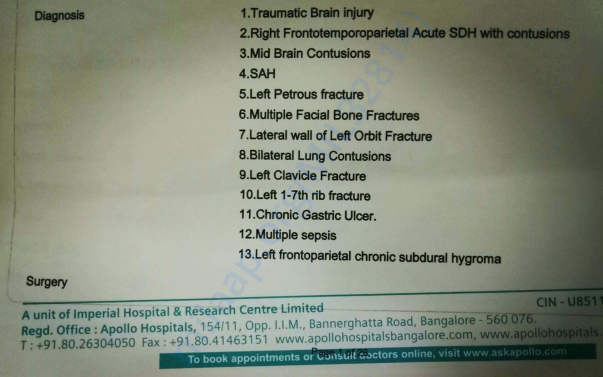 Finally, he was admitted at Apollo Hospital, Bangalore, where he has been for the last 52 days. 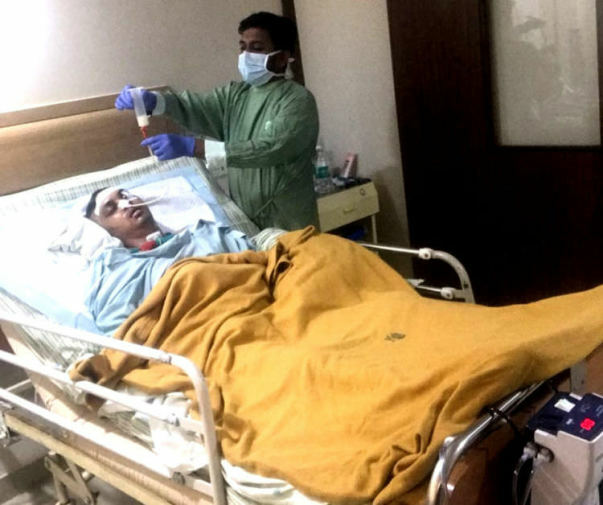 Akbar Ali has been operated on for four times already. 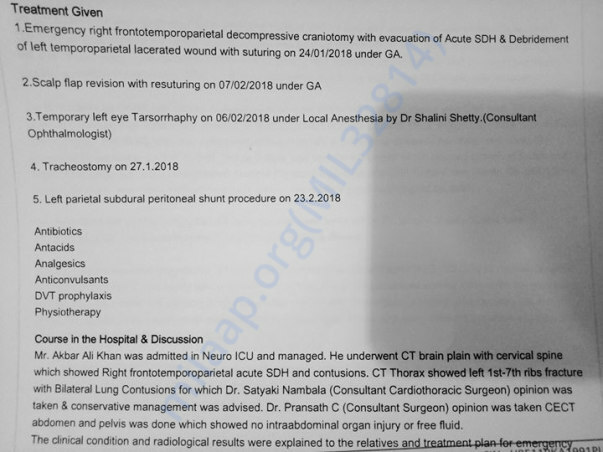 There was a swelling in his brain and they had to remove a part of his skull to lessen the pressure. He even survived a major brain stroke. I have seen him evolve from a near-vegetative state (when he was in a coma for the first two weeks) to a point where he can understand what we are telling him. But his problems have not gone away yet – he is not fully conscious. He cannot swallow food on his own, and the risk of blood clots forming in his windpipe can potentially choke him. As much as it pains me, he needs constant professional care that I cannot afford anymore. The doctors have instructed us to keep talking to him; they say that will bring him back to life. So that’s what we do now – pretend to be happy- so that our Akbar Ali comes back to us. I bring my 2 year-old son to the hospital every day because my brother really loves him. But my son gets scared when he sees his beloved uncle covered in tubes and bandages. And I can sense that Akbar Ali feels so hurt when his nephew backs away from him. My parents are devastated and completely broken from the inside, but we manage to keep a smiling façade on. For our Akbar Ali, for him to be all right. 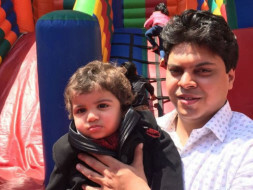 How you can help?Akbar Ali needs to be in the hospital for one more month and needs two more major surgeries. After that, he needs medical care at home for over a year, which includes setting up an ICU at home and hiring private nurses for him. 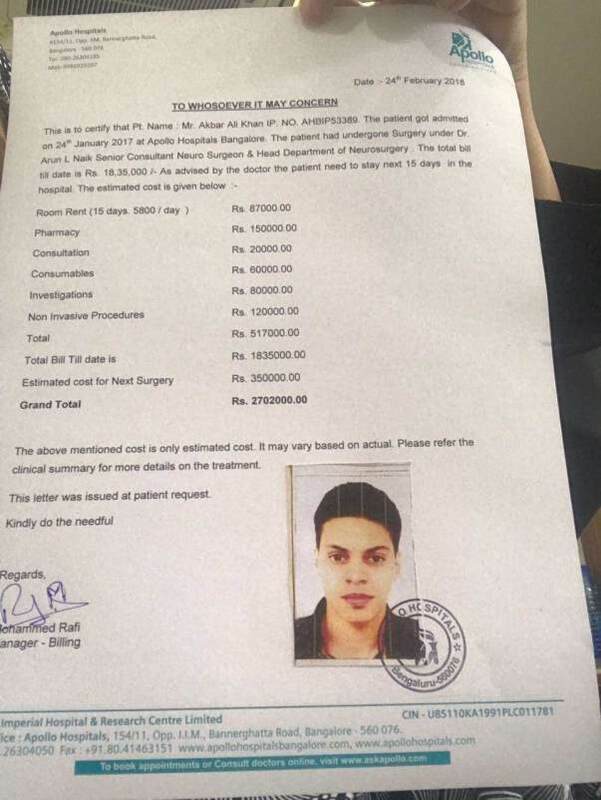 We have spent more than Rs 14 lakh on his medical expenses alone for the first 2 weeks. That's the money we had saved for his wedding this year. My dad has been arranging more money which got stolen last night. The thief has been caught on CCTV and is seen running taking the bag which was on the bike seat while my dad was wearing his helmet. We have registered this complaint at Halasuru Gate Police Station. We want to save Akbar Ali at any cost. He is the light of our lives, even in this darkness. Please help me save him. I am reachable on whatsapp at 91-8050805060 or on email at arjuman.ahad@gmail.com if you have any questions. Running monthly treatment expenses exceed Rs. 8 lacs. 6 months to go! 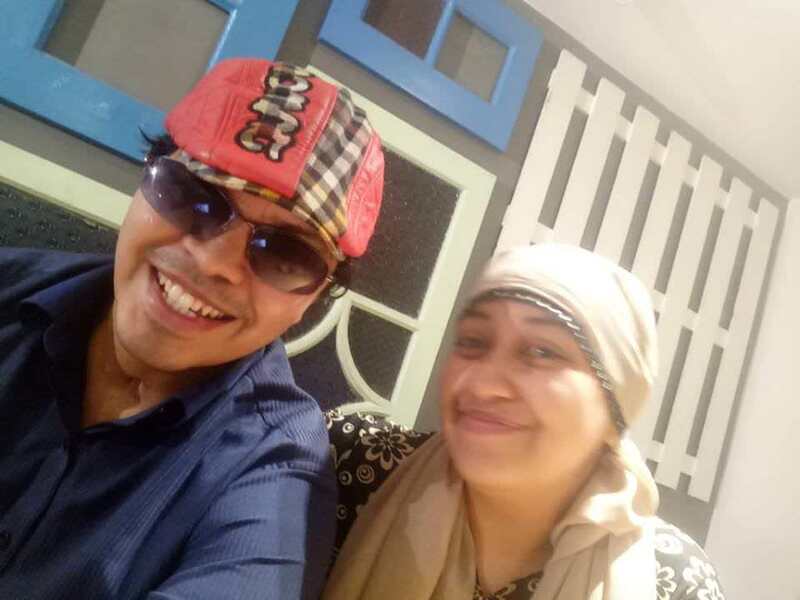 Due to all your prayers and support, we had the best of our lives over the last 7 weeks with Akbar Ali at home. He has been recovering well. We have mostly been discussing about how your contributions have been of immense help during our time of emergency. Similarly there are so many people out there who are in the same position and how can we participate once we clear our present loans. On 17th Oct, 2018, it was another exciting day with Akbar Ali being around. We had planned an outing the same evening to break the monotony of him being at home 24/7. 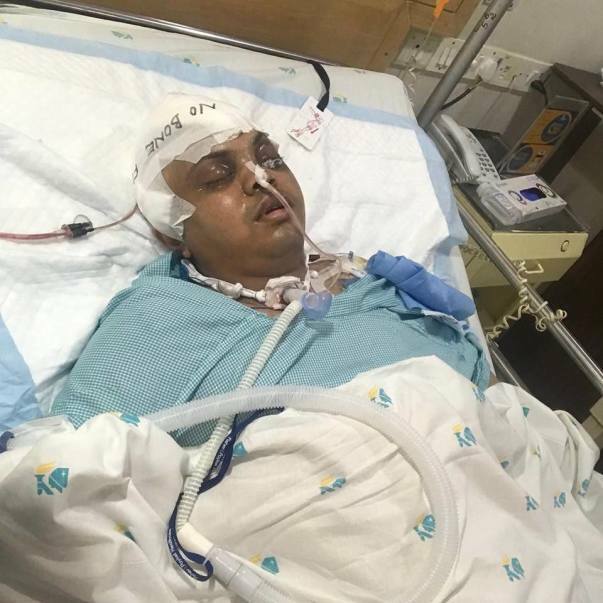 At 6pm hell broke, Akbar Ali had the longest seizure post accident (lasted for an hour). 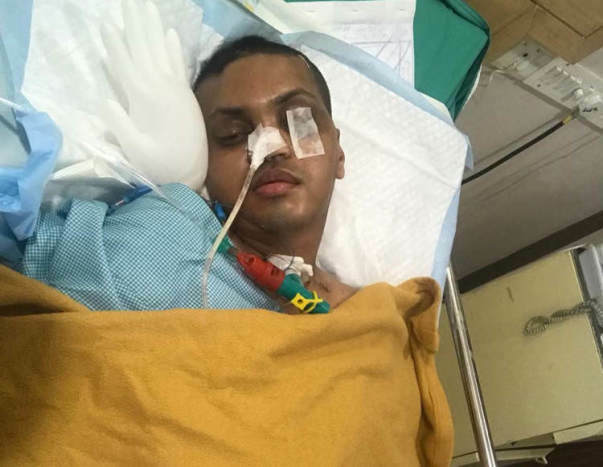 We rushed him to Bhagwan Mahaveer Jain Hospital, Bangalore. First aid and emergency treatment for the next 3 hours helped him to slowly become semi-conscious. Doctor advised to immediately shift him to ICU. 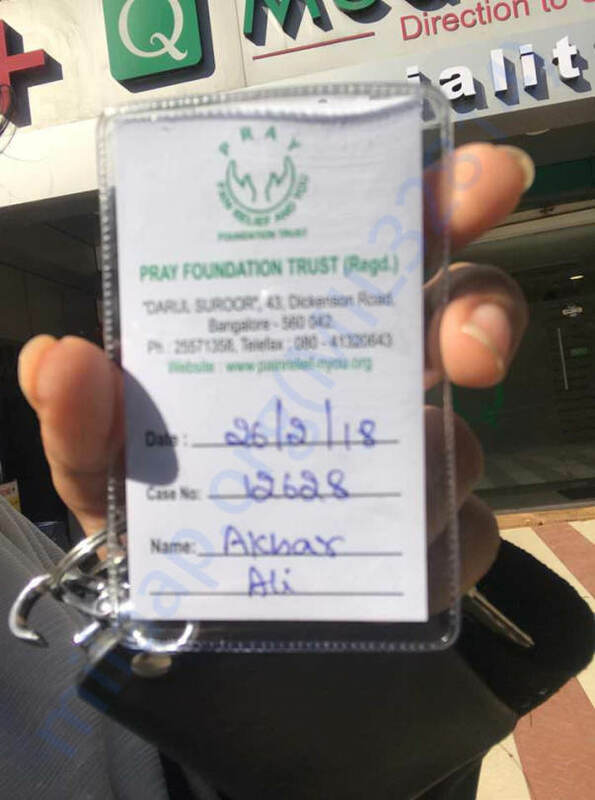 However, I requested multiple times to admit Akbar Ali in the ward as I wanted to be with him as I have witnessed several seizure episodes. I was asked to sign a letter that I take complete responsibility of this decision (admitting in ward) against doctor's advice (ICU) and the hospital will not be responsible for patient's medical condition. It made me think if any hospital takes responsibility anyway if they are admitted in ICU or CCU? Then another seizure took place at 4am in the ward, but the nursing staff and duty doctor took care of it well. We stayed there for 3 days and got him discharged. Now his anti-seizure medication have more than doubled. He is mostly drowsy, a little disoriented, takes 3-4 hours for eating one meal, loses balance frequently, does not participate much in talks like before. Heavy drug dosage is freezing his brain activity to control seizures. But I know he will be back soon. 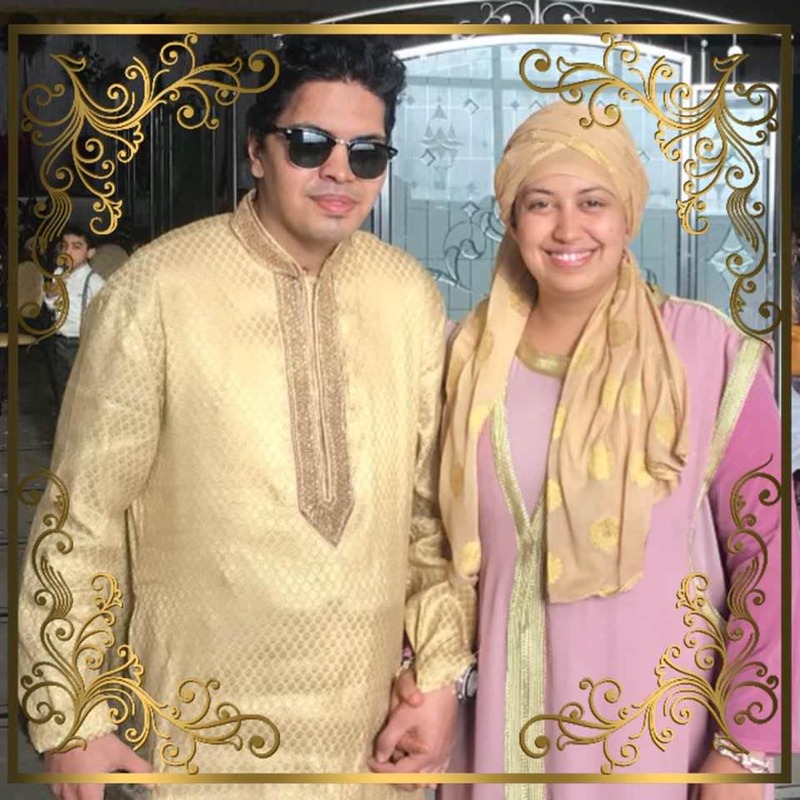 Your constant support, wishes and prayers are appreciated for the rest of our lives. We pledge to help people in need whenever we can - for the rest of our lives. A BIG Thank You for making us realise the importance of giving back!! Will be back soon with more updates. Wishing you the best of health and love. PS - I have read your replies on email and will sit down to reply in a bit. Apologies for the delay. I am rejoiced with the love and support given to my brother Akbar. 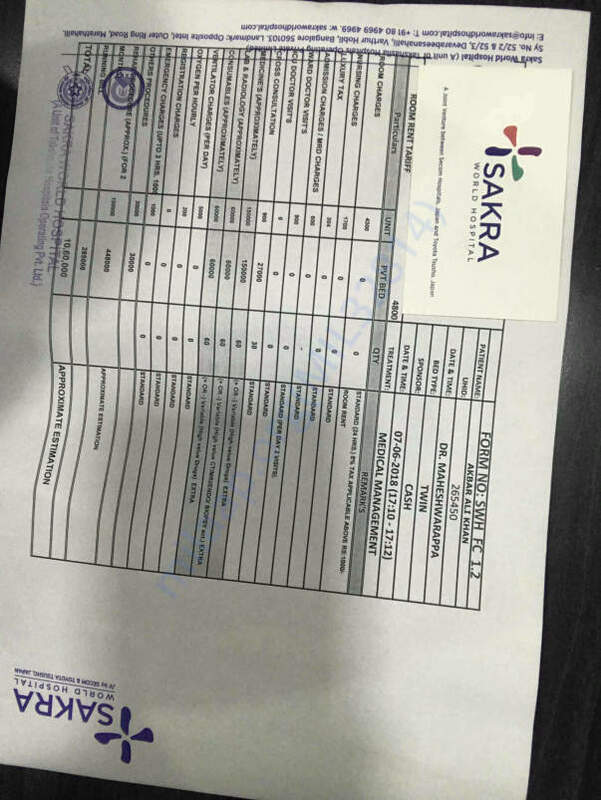 I would like to inform you that Ali is better than before and is continuing his treatment in neurology, rehab, physiotherapy, occupational therapy and Ayurveda. His left hand is still paralyzed. His leg is being given special priority since the response is well. As per the doctors, it will take another 3-4 months for him to have a full recovery. I am very hopeful of his complete recovery. A heartfelt thank you to all of you for such immense support and love. Will keep you posted. I am glad to inform you that we have left for home. Now we are continuing Akbar Ali's treatment / therapies at the convenience of our home. All this was possible with your prayers and contributions. Many thanks for all your help. Here is us now and a BIG THANK YOU for Milaap and 2367 supporters.